The crayfish infested River Blythe is a small intimate river with some of the cleanest flowing water you will ever likely to find in England. Crayfish infested? Well yes because after drowning a worm three times in its clear waters, that’s all I’ve bleeding caught, the river is full of the little crazy biters. A friend of a friend who has a licence to trap them on a different river and often has up to 50 crayfish per trap and he uses 10 traps. He sells them to local gastro pubs and restaurants for something like 10 quid a kilo. He uses road kill as bait believe it or not, apparently they are partial to a bit of badger. Gravel and clay-bedded rivers such as the Blythe can support a thriving crayfish population provided the water is pure, and the banks soft enough to burrow into. It’s such a “particularly fine example of a lowland river on clay” in 1989 is received Site of Special Scientific Interest (SSSI) and therefore has protected status. The river flows through Warwickshire, through the borough of Solihull and and on to Coleshill, it’s largely uncharted and un-fished especially as of late where many would rather fish parked next to a mud puddle where a blank is an impossibility. It’s a roving angler’s delight and suits me perfectly. For the fisherman the mudbugs can be a either an asset or a hindrance. An asset because the fish are dining on them and they are getting bigger, fatter and fast. Where there is crayfish, there is a likelihood of overly large fish. A hindrance because especially when fishing a static bait the crayfish are so prolific that they home on to the bait before a fish does. I’ve even caught crayfish whilst trotting a weir the Warwickshire Avon so they even take moving bait suspended off the bottom too, the jammy gits. The environmental agency reported a while back Perch of just four years old who had crayfish as part of their diet were reaching 4lb in weight. Yes 4lb, startling statistics really. Super size me indeed. Chub are also enjoying the addition to their diet and rivers such as the River Lea which also has an infestation are producing near double figure fish, that’s huge for a Chevin and not that long ago fish that big were unheard of. This particular stretch of the Blythe in the summer months is barely fishable, not only is it difficult to get to the swims because of the dense undergrowth but the river in most parts is inches deep. Come winter time though when the thicket has reduced, access is easier and the levels make it fishable and the crayfish are also less active. It has shallow, fast-running stretches to slow moving lengths with deeper holes and overhangs and it was these holes and overhangs I intended to target. It didn’t even cross my mind what to fish with, simples. My 8ft superlight TFGear quiver rod armed with a link ledgered lobworm, I also had ½ a pint of red maggots to drip feed the swim and some cheese paste for back-up. It was a difficult morning, after a few hours and 7 or 8 swims I was still biteless, I swopped to two red maggots and again not a titter on the tip. It was a bitterly cold wind and no signs of any fish. The coloured water seemed to be getting more tea like so I decided to prebait a chubby looking swim with red maggot, chopped lobs and a few bits of cheese paste and let it settle for 1/2 an hour. I also changed the hook link to a cork ball on a bayonet hair and used a walnut sized piece of cheese paste, a chub sized gob stopper. No matter how bad the clarity of the water the stinky bait would surely be found if there were fish in the swim. I plopped the mouldy dumpling against some nearside cover and waited. After 15 minutes or so a short sharp rattle on the quiver. The bite didn't develop so I sat on my hands till it did, no point being premature for a Chub. You will know when to strike, you ain't going to miss it. I was mid bovril when BANG, a huge bite and the rod was making a bid for freedom. A fish was on with the rod bent double, it was hold and hope for a few seconds. For such a dainty 8ft rod it's got some some backbone and with a snaggy swim and a big Chub there is no messing around you have to get on top of it otherwise it will snag you up and you will lose it. It was all over the swim trying to reach any snags and at one point I thought he had succeeded! but eventually after a hard fight a chunky Chevin was in the net. I needed the scales for this one, it was a good'un. 4lb 9oz and equalled my PB. The camera was now flat but luckily my iphone came to the rescue. Certainly encouraging considering I've only fished the Blythe a few times, I'll be back. 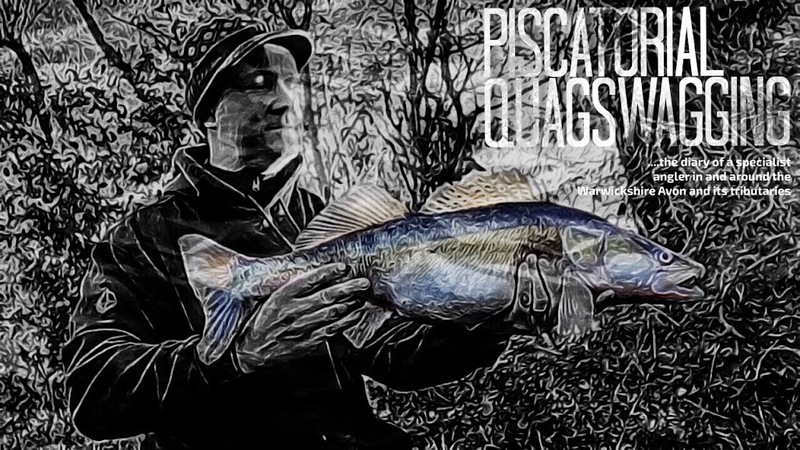 Having stumbled upon a pocket of Warwickshire Avon Roach recently I decided to return to the same swim and this time give it a proper go to see if there were any half decent ones amongst the plebeians. I started catching straight away so for an hour I decided to keep them in my landing net, a 5 hour match would certainly produce a decent bag full. I switched to worm after using small bread discs and had a dace first cast which for a small fish produced such a savage bite, a Barbel would have been proud. The best Roach went 9oz, not huge but good sport on light tackle. Most bites resulted in banked fish; I use a size 14 wide gape micro barbed which is just the job for a large dendrobaena. No Perch weirdly but there must be Pike in the stretch as one roach proudly showed off his war wound. After a couple or three hours I headed upstream to an area where in the height of summer must be full of reeds. It had a decent pace to it and had reasonable depth. The tip hadn’t settled for more than 5 minutes when the rod hooped over and centrepin ratchet started to sing. This wasn’t a redfin but a Chub, a decent one too, 3lb on the nose. I’m liking this new stretch of water even though I’ve barely scratched the surface. I've been after some small highly visible floats to use whilst Zander fishing down the cut. 5 floats and 5 packets of light sticks all the way from China for less than £5 all in. Not tried them yet, but they look like they will do the job. However it seems they have been painted with some toxic paint, they have given me a headache as they bleeding stink. For this morning’s fish pursuit I was after big Chub, easily the greediest fish in the river and certainly not shy round the buffet. Their gluttony and pursuit of a full belly means they can be caught in the hottest of summers and the coldest of winters. They have an unmistakeable fight that makes them right up that as one of my favourite species to catch, proper scrappers and snag seekers. My PB is a mediocre 4lb 9oz, and I want to catch a Warwickshire Avon quintuple. 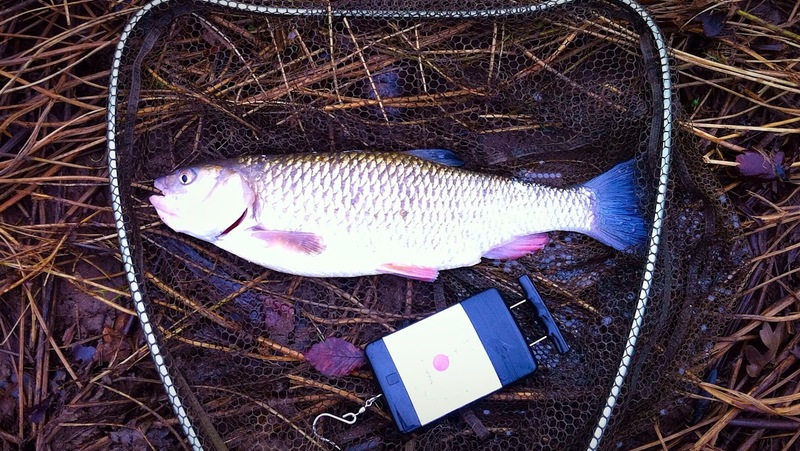 The Avon Chub I’ve caught are long but not as tumified as their Southern cousins, so despite catching literally hundreds of them I’ve struggled to achieve my goal, less food available, more active who knows ? Maybe I should target them exclusively for a whole winter, a carpet bombing approach so to speak. I could take to my car and find a better stamp of fish in an entirely different river and county. I prefer to catch fish on my doorstep though, it suits my limited free time and I find it more of a challenge. They do exist because I’ve seen them and other anglers have caught them. One day last summer when the water was low and gin clear I witnessed a couple of Chub in one particular swim through my polarised cocoons that would have been closer to 6 than 5. They were easily spooked though and any hint of the presence of an angler (ie heavy footy me) or a baited rig, vamoose nowhere to be seen, gone, back to their thick cover and sanctuary. Trotting fared better than a static bait in terms of numbers of fish caught but a static bait seemed to always bring the bigger fish. Come winter time and with a bit of colour in the water though, the fish feel more confident, far less easy to spook and there is a better chance of catching a good’un. My usual tactics were used for this session. Cheese paste, maggots and worms for hookbait, liquidised bread as feed and my favoured roving approach. Before fishing the first swim a few potential swims were pre-baited on route with marble sized cheese paste balls and these baited swims would be fished on the return. For keeping cheese paste on I tie a small hair with a bait spike attached and use a small cork ball which gives the paste something to grip on to. You get savage bites too so as a rig it work well. Size 12 hooks seem to be just about right. As one particular swim I was planning to fish also contains Gudgeon I brought along my trusty 8ft TFG super light quiver rod with a light link ledger set-up and planned to fish a small section of worm or a couple of maggots. These were not battery wasters either as I’ve caught some right lunkers, strangely when I’ve had a large pellet out for Barbel. I’m sure there would be a possibility of clonkers of specimen proportion too as in this relatively short 20 meter stretch of river where it’s fast flowing with a bed of gravel they seem to thrive and don’t venture too far, bit like those from Southam. Best laid plans and all that as weirdly they were not there today; the river was low and clear but had a decent flow to it. Maybe that put them off. The weather is settling down by the looks of it so with the close season fast approaching I’ll give it another go in a couple of weeks. Blurry, a bit how my head felt after a night at the Champions. At least the Chub were paying ball, the 2nd swim I managed a 2lber and the last swim a hard fighting one that went 3lb 6oz’s on the scales. Certainly not the best conditions to fish for big Chub but an enjoyable short session all the same. Am I mad ?, a disappointing reccy session at Guy’s Cliffe the previous week and yet I left my warm and overly mammiferous bed at first light to trudge up a thicket riddled path to hopefully fulfil my inquisitiveness and find a roach sanctorum. To be honest I probably set myself up for a blank session as it’s been bitterly cold, fishing shouldn’t be easy though should it. I’m not one to park feet from my fishing peg from a carp plethoric pool. I prefer adventure and possible untapped big fish fortuity. (well, within <15 minutes of my house anyway ). 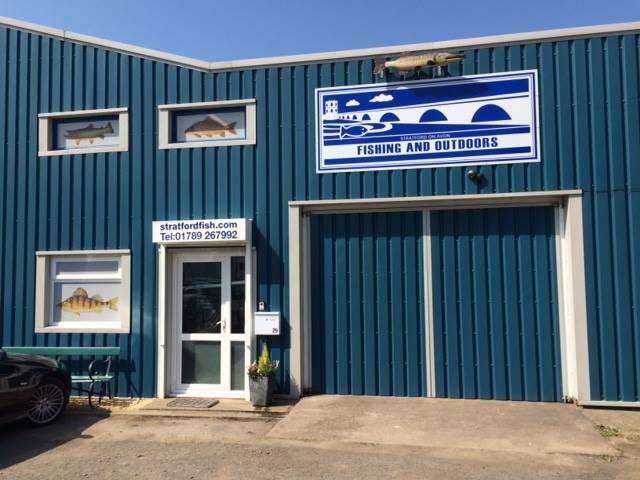 Old Milverton is ideal for this as a fisherman seeking detachment and remoteness from everyday life. The hamlet is situated on the bend of the Warwickshire Avon, situated upstream of the parish of Guy’s Cliffe where the swims are denser and the city sniffers more prevalent. Here the northern reaches are more barren and inhabited and don’t suit the sluggard. The only issue is the road noise from the A46, it ain’t the best. Wintertime seemed to be the best time to tackle this stretch, I love to seek solitude, but if that means tackling 7ft nettles in the process that’s a no goer. With a couple of tearaways who need constant attention and with a limited time to fish my time is precious. I was also hoping a longish trek in the cold would help with the grog-blossom, port and stilton the night before wasn’t an ideal belly filler for a fishing trip the next day and to be honest I didn’t feel the best but I battled on. I dreamt of big roach and dace utopia ( btw a good series on 4oD if you haven’t watched it. ) and was hoping I would find it. Anyway back to the fishing, compared to last week I scaled down for this session, a smaller cage feeder, lower diameter line and a finer gauge hook (Kamasan B983). Lobs were exchanged for dendrobena tails and once again maggots would also be used as hookbait. As the clarity of water would likely to be pretty good I also decided to bring some 12mm diameter bread discs. Liquidised bread and maggot filled the feeder. To give myself even more chance of catching a fish I brought along a trotting set-up to try and find the fish if they were not accepting of a static bait. The second swim produced a nice Roach of about 5oz’s on worm and the first trot through the swim on bread I caught another Roach of similar size. The swim went quiet for 15 minutes and as soon as the 15 mph winds were becoming unpleasant I decided to look for some other swims downstream. Most swims I tried produced fish but the static bait easily out fished the moving bait. In the last swim I just used the feeder rod and had 10 fish in half an hour or so, the biggest Roach went 8oz's. Strangely I didn’t miss many bites, the B983’s doing a grand job. No big Roach for this morning’s session, or Perch for that matter, but compared to last week certainly encouraging. It’s cold again this week and with the close season getting nearer I might have a session for Chub, I’ve neglected them of late and need a proper bend in the rod.